But has the magic been lost now we have all the sequels we have ever wanted? But how many sequels can we deal with? You will remember 2015. Maybe not for the games that actually come out (although it's been a strong year for software, which is high-praising considering the amount of titles that slipped from their original release dates towards the shadowy depths of 2016), but almost certainly for the ones that appeared out of nowhere. Not forgetting the ones which emerged from the deep, dark oceans of development hell. This was the year nearly every gaming dream - except for ones with headcrabs and crowbars - came true. Whether they rode the wave of popular demand, popped into existence on the back of a shock announcement or came in slow and steady atop a crowdfunded mountain of cash, we finally got all the games from that imaginary 'most wanted' list in our minds. Just think what we've seen - The Last Guardian appeared with brand new footage and reassurances from Sony that sounded remarkably genuine. Shenmue 3, the posterchild for incessant Twitter movements and worthless petitions, finally got the green light from Sony and Kickstarter. Everyone's favourite JRPG Final Fantasy 7 is finally getting remade (which, on the face of it, doesn't sound like a good thing, but people seemed to lose their minds over it so we might as well let them live in their doomed bubbles of euphoria). Yakuza 5 has been out for two years in Japan - it only took an ungodly amount of fan requests to convince Sega to finally localise it for the West. Yakuza 5, two years late and still on PS3, finally arrived localised for the West alongside confirmation from Sega that Yakuza 0 (the tantalisingly '80s-set prequel to the Japanese mafia series) will eventually get a similar treatment on PS4. Okay, I'm just being sickeningly disingenuous there - I cannot put into words how excited I am for Psychonauts 2. It's the only time this year the reveal of a long-wanted and long-asked for game captured that child-like corner of my imagination that still gets all gooey and crazy about games. Much rumoured, much desired, then announced and released in less than six months. Sure, it's been buggy as hell (as all Bethesda games are at the start, God bless their little souls), but that next Fallout game was still one of those big names that always felt like it was dancing out in the periphery of your vision, waiting to surprise you at one of the year's big showcases. All these announcements are, for some out there, the epitome of brilliance - they're awesomeness made sauce. But plucking a dream from the ether and making it corporeal comes at a price. And one that has got far broader consequences that we've taken into account. For a start, there's the expectation. Hype isn't an easy thing to conjure, the proverbial lightning captured in a glass vessel, but it can do wonders for a game's PR. It gets people talking, and tweeting, and blogging, and podcasting and every other way we express our excitement now. Some may even talk to another person face to face. Honestly, that stuff still happens. Now take that hype, throw it into the particle accelerator of fanatical fan demand and remember to plug your ears with your fingers. However brief that reactionary supernova is (even Shenmue 3 eventually cooled once fans realised just how much money director Yu Suzuki would need to actually make the equivalent of Shenmue 2 in modern development costs), the blast radius is still huge. But a reaction that big means expectations on an astronomical scale. Said game needs to be beyond great, excellent or sublime. It needs to be the gaming equivalent of Jesus' second coming. Anything less is tantamount to heresy. The Last Guardian, much like Duke Nukem Forever, has been in development so long it seemed like it would never see the light of day. Let's hope it fairs better than the Duke. But that's not the biggest danger for these dreams come true. There's the simple fact that we've not only got all our cake prepped and ready to eat, but there's very little additional baking on the horizon. Part of the magic of tuning in to the likes of E3, Gamescom and TGS every year is dusting off that most wanted list and gripping it with sweaty hands as each show draws towards its usual exciting crescendo. Will this be the year? Have they finally pulled the trigger? Is it… IS IT? No…. I'd argue that those big games, the ones that have loomed in the shadows so long they've practically become legend, actually hold more worth by not getting a release. They become totems of anticipation and hype, the perpetual phantom cherry on the cake (yes, I'm using another baking-based metaphor, let's just go with it) that drives our love for games both new and old. But without them, the future release schedule has lost some its lustre. Sure, the granddaddy of most wanted games still lives on (although most of us were half expecting Gabe Newell to somersault onto Sony's conference at E3 this year and spell out the words 'Half-Life 3' via the medium of interpretive dance, such was the palpable air of unreality that night), but it's now become the sole focus of our potent anticipation for the future. The next couple of years will be the real test for these games, and the industry as a whole. A great deal of these games are riding the wave of crowdfunding and sheer popular demand. Should they fail to meet expectations both critically and commercially and the fallout will be worse than just publishers keeping nostalgic titles at arm's length - it'll shake our faith in the concept of investing in our greatest gaming desires. And will the coming years be as exciting without those great and hopeful phantoms lurking at the back of our minds? With such a glorious clearing out of the attic, there's very little left to fill those metaphysical gaps in our collective gaming consciousness. Will we all get uber-excited over far more middling and piecemeal games? Will our need to need to hope a dream simply urge us to address the bigger franchises that simply haven't had a proper entry in a few years? It's hard to tell, but if 2015 is anything to by, next year has some big shoes to fill. 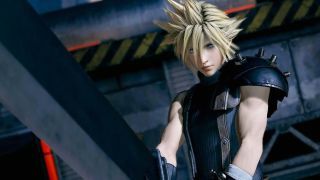 Final Fantasy VII will be an episodic remake.